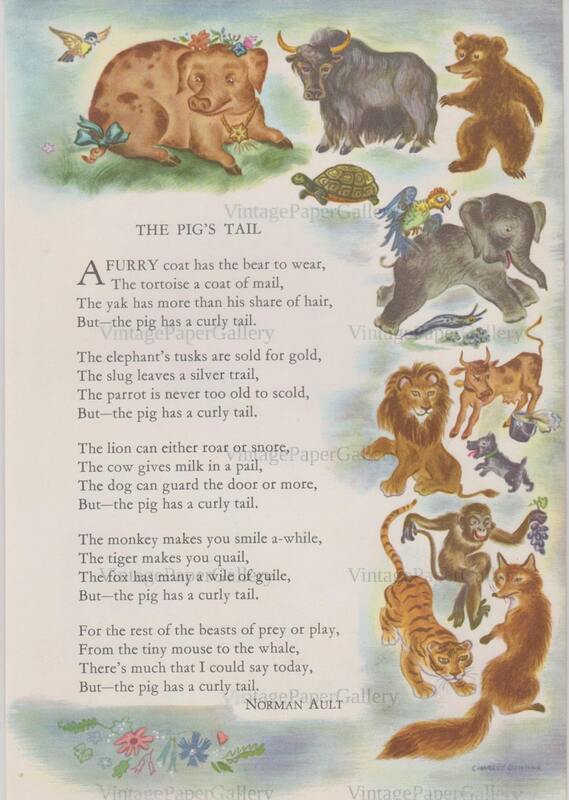 This nursery rhyme was rescued from a 1961 Mother Goose book. Some of the pages were torn or colored on, but I was able to salvage some really cute poems. Sheet size is 8 1/2" x 11"
You may print this image as many times as you want, but you may not resell it as is. Use premium paper for the best results. Check out my other shop: VintageAdGallery.etsy.com for original vintage magazine ads, photos, ephemera, journals, music sheet covers, and other vintage goodies! Beautiful condition and shipped quickly. Thank you!